The production of ceramics at Civita Castellana dates back to the centuries before the rise of Rome; in fact the vase production could be found even in the 4th century BC. Some good quality products appeared in the Middle Ages and in the Renaissance, but only at the end of the 18th century the clay quarries carachterizing this area began to be exploited with proto-industrial intentions. The first example of a workshop producing crockery and artistic ceramics was opened in 1792, by the architect Giuseppe Valadier and then by Giovanni Volpato, while some factories producing crockery, tiles and sanitaryware developped only in the first years of 1900. 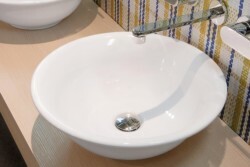 On the 5th of January 1955, after a strike for the contrac renewal that opposed workers to owners for some months, twentythree sanitaryware workers jointed in an association, establishing Ceramica Flaminia. At that time the production of sanitaryware was almost handmade; ceramic products were created only using a few tools and baked in log-stoves. As time passed manufacture systems deeply evolved and now Flaminia uses very modern equipments in its three buildings, two situated in Civita Castellana and one in Fabrica di Roma, covering a surface of about 30000 sm. In 2003 this firm got the UNI EN ISO 9001-2000 quality certification. According to its growth, during the years Flaminia changed even the company form, becoming a joint-stock company in 1996. 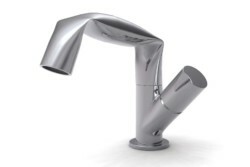 Up to the middle of 1990s Flaminia products were characterized by traditional shapes following, but without copying, the style of the greatest national and international firms; on the contrary, referring to the product quality, the company has always had the public's appreciation. During the 1970s and 1980s Flaminia tried to find some original solutions regarding the style of its production, but no goals were achieved becouse of lack of a suitable artistic department. 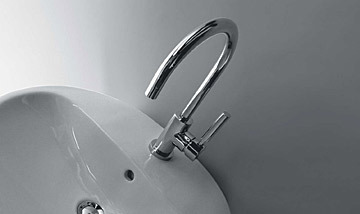 So at the middle of 1990s, when the search of alternative shapes for bathroom products had became more and more fundamental, Flaminia started the cooperation with Roberto Palomba creating the successful Work in Progress project. 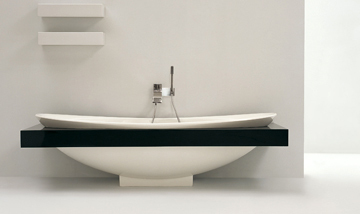 The real turning-point happened in 1997 when in Verona, during the cultural exhibition Abitare il Tempo, Flaminia presented Acquagrande, a great rectangular washbasin designed by Giulio Cappellini. 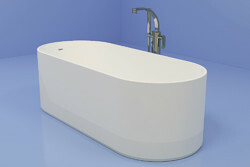 This basin represented an important innovation in a market which was characterised only by round and soft shapes. 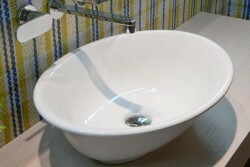 The Acquagrande basin was soon accompanied by other products by Roberto and Ludovica Palomba, such as a round basin called Twin Set, which was born in 1998; at the end of the year after the range of these two articles was widened with other sizes and models in order to offer a great variety to the public. 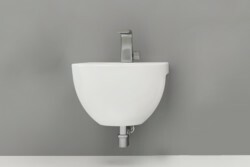 In Bologna at Cersaie 2000 Flaminia exhibited Link wc and bidet by Cappellini and Palomba: wall hung sanitaryware which showed the siphon, for the first time and without any shame, and hid all the fixing brakets at the same time. 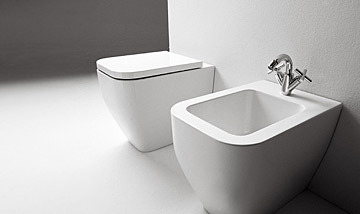 Their linear shape was purposely designed in order to produce two articles that could be freely matched to the various washbasins. 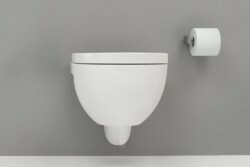 At the same exhibition the ceramic Twin Column was present too, a new solution for the free-standing installation of Twin Set basin. 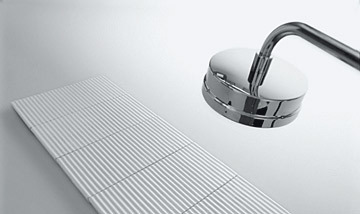 The search of original solutions went on in 2001, when Tatami was shown to the public: a modular shower tray for floor level installations, which joints innovation and very rigorous design. 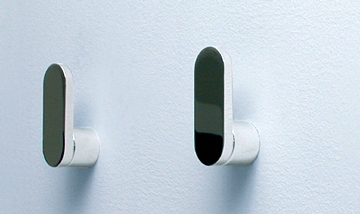 Spin wall hung wc and bidet appeared in 2002 with Nuda basins, proposed in different sizes and two versions. Through these two lines Palomba began to explore sensual soft shapes. 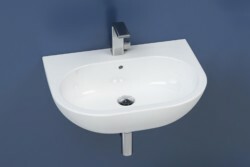 In 2003 and 2004 Flaminia presented the back to wall version of Link wc and bidet, Step and Dip basins, Terra sanitaryware and One taps too. 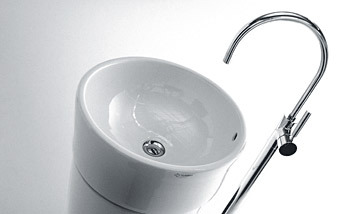 This company included in its catalogue products created by others designers: Jeremy King and Riccardo Roselli for the Hoop accessories, Alexander Duringer and Stefano Rosini for the Io line, composed of wc, bidet, washbasins in three different sizes and a bath-tub, and for the Si tap range. 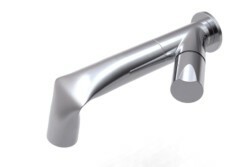 The main characteristics of the Io sanitaryware are the innovative flushing system for the bidet and the bath-tub produced in a synthetic material. 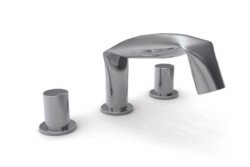 With these new items, not only in ceramic, Flaminia can furnish the whole bathroom, from taps to accessories, from bath-tub to furniture, from mirrors to shower boxes. 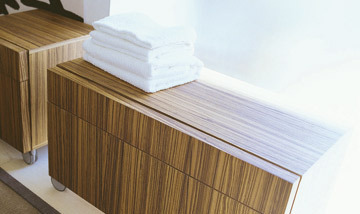 This firm proposed innovative solutions not only amongst its products but also for their finishes. 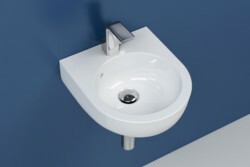 In fact in 2001, for example, the Acquagrande basin was produced in antracite: a mat colour, very pleasant to the touch. 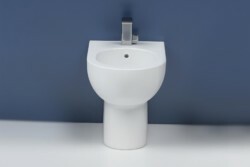 Some new lines of sanitaryware by Giulio Cappellini came out in 2004 and 2005, in particular the huge FONTE basin with its unusual proportions and MINIWASH, small basins projected for both domestic and public spaces. Flaminia went on searching original accessories with FRISCO and MIAMI, two benches designed by Giulio Cappellini to support washbasins, with some brilliant finishes for the SIMPLE collection by Palomba and Serafini and finally with NIAGARA, the innovative flushing system to suit TERRA and LINK BACK TO WALL wcs projected by Flaminia Design Team. 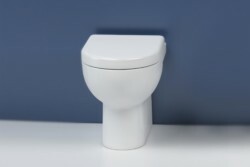 The year 2005 was very important because there were many events which confirmed that Flaminia has become a reference point amongst sanitaryware producers. The firm, that celebrated its 50th anniversary just in 2005, wants to continue the research and the experimentation that have made it the trend setter it is today. In fact, besides the new ranges, an innovative mat finish was created in four tones: milky white, sand, blue indigo and chestnut. 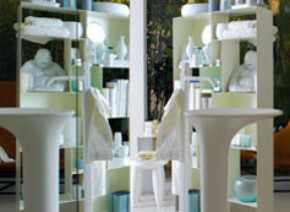 In April 2005 a new showroom projected by Giulio Cappellini was opened in Milan on via Solferino 18; this location will become a permanent Flaminia site in this city, where designers, clients and public can meet and special events regarding the bathroom culture can be held. 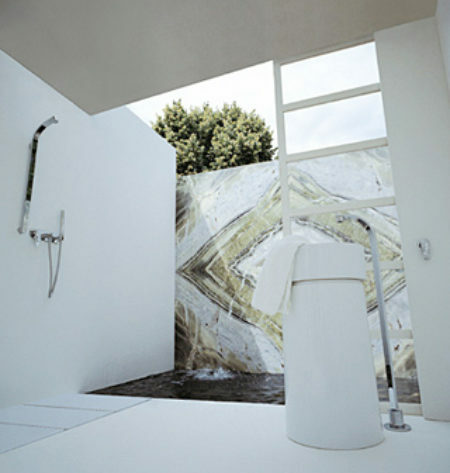 - Tatami received the Segnalazione al Merito by the jury of Comfor & Design Award at Mostra Convegno in Milan and won The Best in Bathroom Design Award on Elle Decoration Uk magazine in 2002; in 2003 it won Der Innovationspreis Architektur und Technik Award at ISH in Frankfurt and the year after the Prix du Design Award at Ideo Bain in Paris. In 2004 it was also nominated in the selection of the 20th Compasso D'Oro ADI Award. The critic's opinions were shared even by the public and this meant a large increase in sales; in fact from 1998 to 2004 they became four times as many. The Italian market represents the 70% of all Flamina production while the remainig part is placed above all in Europe, even if there are important sellers in United States, Canada, Australia, China and Japan. 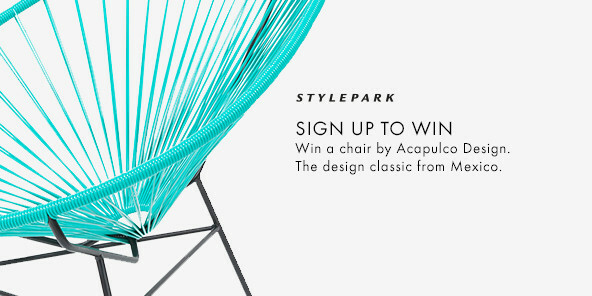 Flaminia has recently defined a new relation with Giulio Cappellini who has become its artistic director. For the future Flaminia wants to realize articles of high design and to proceed with the experimentation and technical innovation of products. At this year's ISH, the "World's Leading Trade Fair for the Bathroom Experience, Building, Energy, Bathroom, Air-Conditioning Technology and Renewable Energies" in Frankfurt the economic crisis did not take centre stage. Visitor and exhibitor numbers almost matched those of the previous year and an upbeat outlook was palpable - almost defying the crisis, as it were.